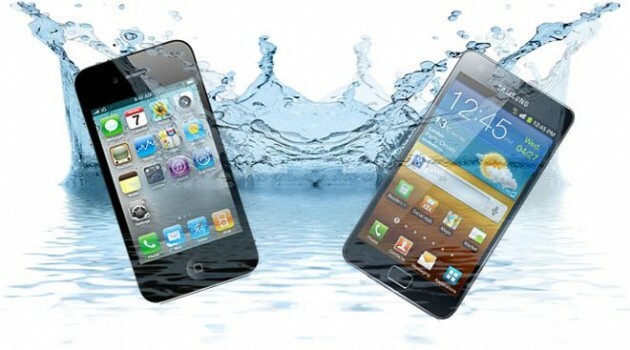 Will Samsung Galaxy S3 and iPhone 5 be water resistant? Home / Smartphones / Will Samsung Galaxy S3 and iPhone 5 be water resistant? In recent months there were a number of rumors about how good or how well it will look the much awaited smartphone Galaxy S III and iPhone 5. Behold, on the internet is circulating another very interesting idea, that the two smartphones could be water resistant. Several companies, including HzO and Liquipel developed technologies that will cover the components at nanometer level, to withstand water. It could be an important feature for two of the best smartphone that will be launched in the following months. Liquipel tested this technology on several leading smartphones including iPhone 4S and HTC Thunderbolt 4G . The company already offers such facilities to existing models on the market at a price ranging between 59 and 79 dollars (a little expensive if you ask me). Implementation of such technology would result in larger or heavier terminals.